As Halloween approaches, many of us are putting together our costumes, trying to create something amazing — many times out of just a few ingredients. One big ingredient for many costumes happens to be jewelry, or even watches, which means that, should you decide to break out the good stuff, you might be susceptible to damaging or losing your valuables. We’d like to help our customers and readership avoid such pitfalls this Halloween. 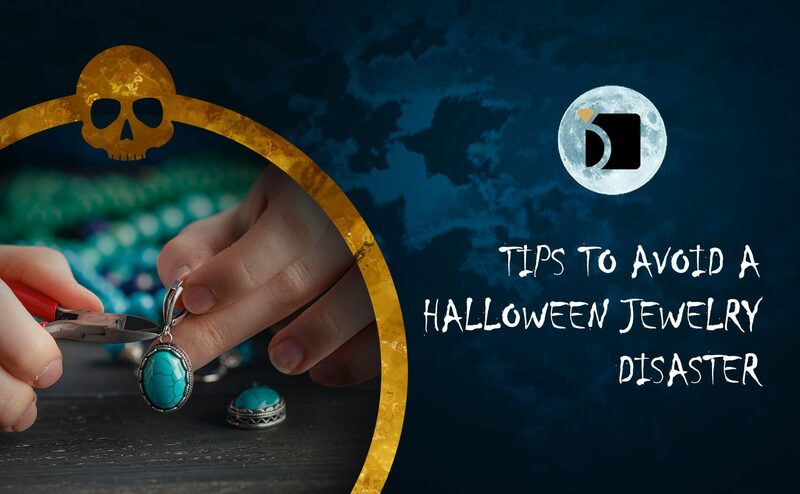 In the spirit of having a fun and safe Hallow’s Eve, we thought we’d go over a few measures you can take to avoid a Halloween jewelry disaster. If it’s your watch, make sure it’s shining bright, telling the correct time, and that it fits snug on your wrist. Make sure your rings fit; earrings need to to be firmly in place. If you have a set of pearls, make sure you get them re-stringed prior to venturing out. My Jewelry Repair has an easy online process to get all of these services done before Halloween. Send your jewelry and watches in today! If you’ve invested in a valuable watch or piece of jewelry, it’s likely you save wearing these for special occasions. Sure, Halloween is a special occasion, but it’s also when a certain amount of acceptable mischief gets made. People have adult beverages and then all bets are off — especially when it comes to losing or damaging jewelry or watches. Instead, utilize your less expensive stuff that might not be getting any play. By hitting up the local thrift and consignment shops, you might be able to find a low-priced relic that fits with your costume, or even makes your costume, in best case scenarios. If you do find that hidden gem, you can send it on over to My Jewelry Repair to have it cleaned and polished, even refurbished for a brand new look! Be safe this Halloween and visit www.myjewelryrepair.com today to get started on your jewelry and watch repairs.